Historically, Christians haven’t been good at working out their differences in community. 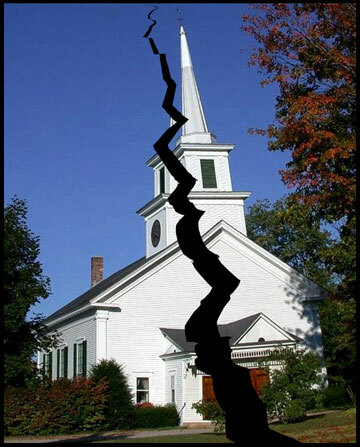 Instead, the more common scenario is that a church or denomination disagrees over a particular issue, people pick sides, and the church or denomination splits. I think we could do a much better job of working out our differences in community rather than failing to work out our differences and breaking community. There’s a passage in the book of Romans where Paul addresses a religious disagreement. To give a little bit of background, during that time, there were other religious groups and temples besides Jews and Christians. People would go to these temples and make animal sacrifices. The food that was sacrificed would then be sold in the market to eat. For first-century Christians, the question was this: Was it okay to eat meat that had been sacrificed to idols? On the one hand, they knew God commanded them not to worship any other gods, so maybe it was wrong to eat meat sacrificed to idols. On the other hand, these other gods weren’t actually “real”, they were just statues made of gold and stone. Since nothing was actually happening during the sacrifices (because the gods weren’t actually gods), maybe it was fine to eat meat sacrificed to idols. Paul ends up coming down on the pro-meat side, but his particular position isn’t the focus here in Romans 14. His focus is on how to handle religious disagreements AND maintain community. As you read this passage, I’d like you to think of an issue or conflict that your church or religious community is struggling with, and see how you might apply the principles Paul talks about. 13 Therefore let us stop passing judgment on one another. Instead, make up your mind not to put any stumbling block or obstacle in the way of a brother or sister.14 I am convinced, being fully persuaded in the Lord Jesus, that nothing is unclean in itself. But if anyone regards something as unclean, then for that person it is unclean. 15 If your brother or sister is distressed because of what you eat, you are no longer acting in love. Do not by your eating destroy someone for whom Christ died. 16 Therefore do not let what you know is good be spoken of as evil. 17 For the kingdom of God is not a matter of eating and drinking, but of righteousness, peace and joy in the Holy Spirit, 18 because anyone who serves Christ in this way is pleasing to God and receives human approval. I think there are 3 key principles to keep in mind when trying to work out religious disagreements in community. Do not judge one another. Paul is clear that we should refrain from judging one another. The idea here is that we each will stand before God to be judged. God is the perfect judge because he has all the necessary information—he knows our biological makeup, personality, history, and experiences. But as humans, we don’t have access to this information, so we are imperfect judges. Because of this, we should refrain from judging and leave this up to God. Prioritize peace and mutual edification. We don’t just live for ourselves. For Paul, the priority was the church and community. Paul believed the church working together was the hope of the world. But a church divided could not accomplish the work of God. Because of this, Paul prioritized love for your brother and sister. If you know in your conscience that something is okay for you to do (e.g., drinking alcohol), but by drinking in public you encourage someone else to drink who might struggle with alcohol, you are no longer acting in love. Peace and mutual edification is more important than being right. Honor your conscience. Near the end of the chapter, Paul makes an interesting point about honoring your conscience. Basically, he says that whatever you believe about these things is between you and God. There is a reality here that we need to work out our own faith with God, and this process might look different for different people. I think some of our disagreement in church happens because we don’t acknowledge that different people have different growth processes in their faith. Instead of allowing for these differences, we try to make everyone conform to one specific way of belief or doing things. Discussion: Think about a disagreement or conflict you are having in your church or religious community. How could you apply Paul’s 3 key principles from Romans 14 to help you with this process?